The bravery of Mr. R.C. Bafna can be visualized by his great works encouraging humanity. R.C. 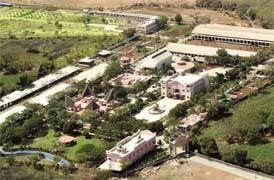 Bafna, an identity in himself has founded Goseva Anusandhan Kendra which is heavenly place for cows and various animals. This center aims at complete safety of animals and different birds by using different modern and traditional methods. It's a new beginning , by a great person to enlighten the people regarding vegetarianism & ahinsa. The main target of R.C. Bafna GGoseva Anusandhan Kendra is to make our mother cow independable and create awareness in the minds of people regarding it. The mission behind it is to propagate and promote love for cows & protect them, to create awareness of vegetarianism & protection of cows & also to place Ahinsa tirth on the map of India to make it a tourist attraction place. The cow, gives wealthy and highly nutritious food. Also blesses us with its waste products thereby enhancing the quality of our lives. hence , we believe in humanity & are against killing of cows & take initiative for spreading this message to the whole nation.